We are committed to providing excellent pathology and histology services to help you get the most information from your research studies. 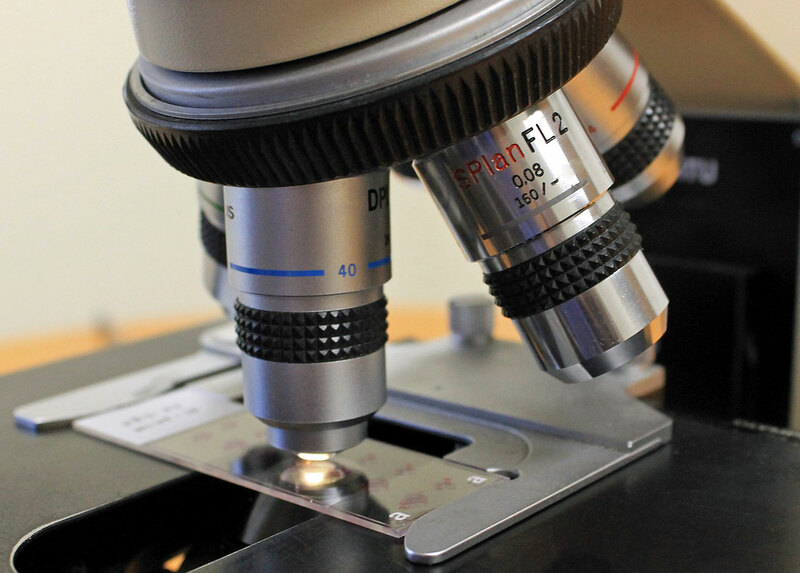 Our full service histology and pathology laboratory and staff of experienced board certified pathologists provide evaluation and consultation services to the medical device, biotechnology and pharmaceutical communities. We welcome the opportunity to collaborate with you on study and protocol design to ensure the goals of your study are met and any potential issues which could compromise study integrity are mitigated. So we may best understand the needs of your project, please provide a signed written study protocol whenever possible. Study protocols are mandatory for GLP studies, but are highly recommended even for non-regulated projects. It is our goal to provide you with a report in the format you desire. If you have specific preferences on report format please discuss them with our staff so we can customize your report to meet your expectations. In most cases, VDx can accommodate specific report formatting requests. VDx Preclinical is fully compliant with FDA Good Laboratory Practices (GLP), as detailed in CFR 21, part 58. As such, we maintain an independent quality assurance (QA) unit that monitors our facility and GLP studies. We are happy to host your management and / or Quality Assurance (QA) unit for a site visit. If you would like to conduct an audit of our facilities please contact us so that we may schedule a visit. Or, in lieu of visiting VDx, our QA unit can complete a desk audit and send you the results. Our staff of highly qualified, board certified veterinary pathologists has more than 75 years combined experience with clinical, comparative and anatomic pathology, gross pathology, and histopathology in preclinical studies. The VDx Preclinical Research Services Team is dedicated to partnering with you to ensure quality, reliable pathology results. We will assist with coordinating all aspects of day to day study management including scheduling, on-site workflow, and all logistics. If you would like to submit a project to VDx Preclinical, please contact us for more information or fill out a Research Account Information form and return to us by email, fax, or mail. Once we receive this account information we will contact you for more information regarding your specific project needs. Client confidentiality is very important to us. VDx Preclinical would be happy to sign your company’s nondisclosure or confidentiality agreement at any time. Please send us any questions via e-mail at rst@vdxpathology.com. Or you may call us at 530-753-4015 for assistance. Please send us any questions via e-mail. Or you may call us at 530-753-4015 for assistance of any kind.